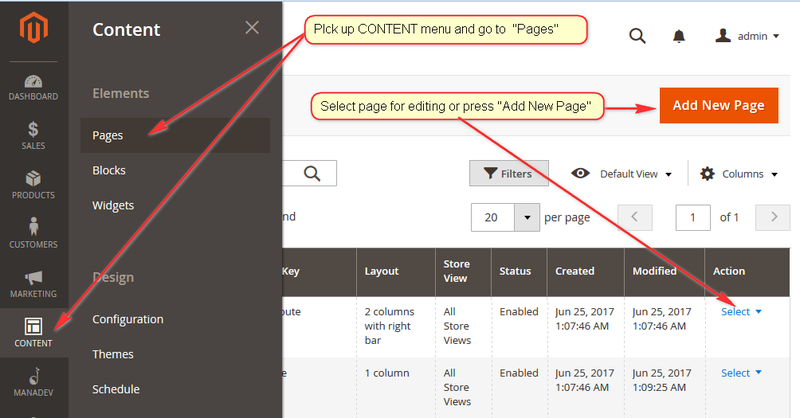 From admin panel, open menu item CONTENT-> Pages. Select a page or create a new one. 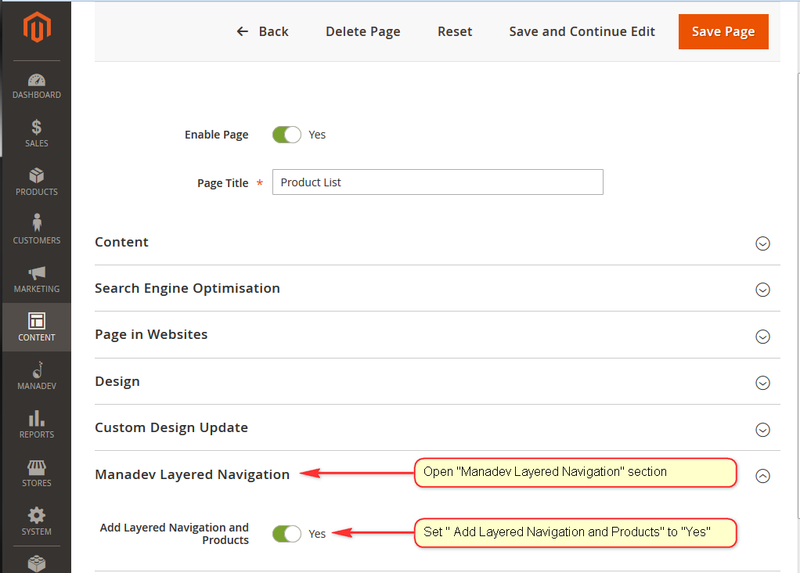 Open Manadev Layered Navigation section and set Add Layered Navigation and Products parameter to Yes. 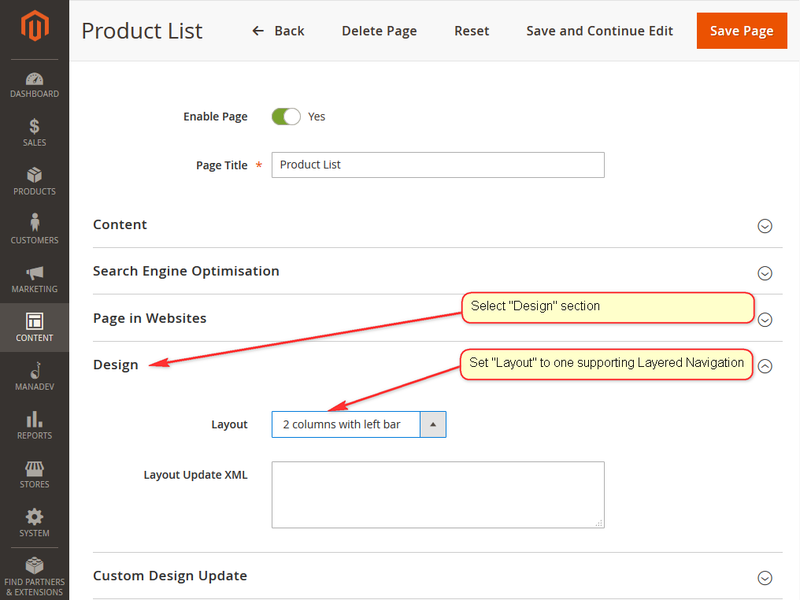 This is new important parameter to ensure page is loaded as quickly as possible. Lastly, save the page and clear the cache then check it on the frontend.